Starr tells us what can be learned walking the hallways of the Pentagon. 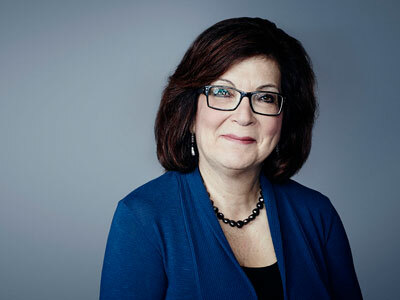 Barbara Starr, CNN’s Pentagon correspondent, marks her 15-year anniversary at CNN this month, but her time spent covering defense and national security issues extends past CNN, to ABC News, where she was a producer working on coverage of the Pentagon and national security before joining CNN, and at the London-based Jane’s Defence Weekly before then. What has kept Starr on this beat, which she calls “the best beat in the world” is America’s troops. “It’s the best story in the world, in my opinion, to be able to communicate to Americans what U.S. troops are doing,” she tells FishbowlDC. Starr has covered the troops both in the field and away from the field, when she has interviewed and followed injured troops as they make their way home from combat and through recovery. “The human interest angle is so important, I think, for everyone to get a basic appreciation for what U.S. troops try to do out there,” she says. That search for the human interest angle led Starr recently to report on Air Force Lt. Col. Melchizedek “Kato” Martinez and his family, who were caught in the Brussels airport attack, during which Martinez lost his wife, about their life after the attack. We spoke to Starr about that interview, her most memorable reporting experiences and how to chase a story within the halls of the Pentagon. FBDC: You’re coming up to your 15-year anniversary at CNN. What are the stories that have stayed with you the most? Starr: The one that comes to mind right away is I was very privileged to do a three-part series riding a medical evacuation plane out of Afghanistan at the height of the combat there. There were some twenty soldiers on stretchers on this plane. They were being flown out of the worst combat zone within hours of being wounded, and we rode with them back to Landstuhl, Germany, and then on to the United States. To see them and be able to talk to them and tell just some portion of their stories was just something that stays with me all the time and is one of the stories, one of the assignments, that I am very uniquely proud of. FBDC: What led you to the story on the Martinez family and their life after the Brussels attack? Starr: When the Brussels attack happened we learned, just a couple of days later, that a military family had been at the airport at the time and had suffered grievous injuries. We knew one of the family members had been killed, but the family at the time was very private, they didn’t want to talk, they were really trying to recover from their injuries. So, we stayed in touch with the Air Force over the month and just tried to ask every several months if the family might be ready to talk. We got word a few weeks ago that yeah, they were. They wanted to tell their story, and the reason they wanted to is they wanted to talk about their mother and wife that was killed, and they were hoping that if they told their story it might provide something helpful to other families in grief-stricken situations. FBDC: What are some of the most challenging and interesting aspects of reporting on (and inside) the Pentagon? Starr: One of the most unique things about covering the Pentagon is Pentagon correspondents–those who are in the workspaces the media has in the building–have access to almost all of the building except for the classified areas. Legend has it there’s 17 1/2 miles of corridors in this building, so you have a lot of ability to walk around, literally pound the beat, and see what’s going on every day. It’s a bit of urban legend, it’s a bit of reality: when the pace of activity picks up in some of the hallways, it’s usually one of the first signs that maybe something’s cooking, maybe a big story is about to break. FBDC: We’ve heard that one of the best sources of information is in the hallways of the Pentagon. Is that also the case for you? Starr: Well, I wouldn’t want to disclose everything about how I work, but yeah. I find getting away from the desk and just having a little walk in the hallway often can lead you to run into somebody. You say, “hey, what’s going on,” and sometimes they tell you. FBDC: How do you balance working with your sources and getting information that your sources may want the public to see, rather than necessarily what is? Starr: With every reporter, if you’re doing your job properly, which I think the overwhelming majority of reporters do, it requires knowing your subject matter, knowing who’s got the real information, talking to them, and then getting the second or third source, both to verify the information and to also make sure that you as a reporter understand it correctly. Everybody, even with good intentions, always has a little bit of a different view or additional set of facts, or some facts that the other person may not know, or some context to add, so the more people you speak to before you report, the better context and understanding as a reporter you have on the story you’re working on. FBDC: You wrote before the election about how the relationship between a Trump presidency and the Pentagon would be a complicated one. As a Pentagon correspondent, what kind of challenges do you anticipate in covering the Pentagon during the Trump administration? Starr: I think there’s always challenges between an incoming administration and the federal government, so that’s pretty routine. I think that for reporters, you have to focus on what it is you do. You report, you get the facts, you get more facts, you double-check your sources, you make sure you’re not just reporting those facts, but you have the right context and perspective and analysis. So, I think for reporters we just keep doing what we do. FBDC: What kinds of topics are coming up on your radar right now as this new administration comes in? Starr: I think here at the Pentagon, one of the big issues, first and foremost, is the confirmation of the new defense secretary, James Mattis. We’ll see what kind of team he assembles here, we’ll see what priorities he lays out, and how he might start working with the Trump White House and the National Security Council. It will be a whole new team, we’ll have to get to know everybody and try and begin to report on them, get the facts of what they’re doing, the context, the analysis, and see where this new Pentagon leadership takes us.